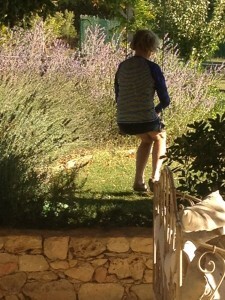 My favorite lavender memory is from last summer in the Provence region of France. We were staying in a country home that had hundreds of lavender bushes. 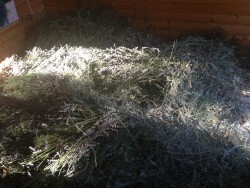 The groundskeepers harvested the lavender by cutting the spikes and they threw them in the playhouse in the back yard to dry. I went outside to see how much had been harvested and when I opened the door to the playhouse, I was met with an overwhelming aroma of lavender – it was amazing! Though the photo cannot possibly do that moment justice (the lavender in the picture was thigh deep), it evokes a strong memory and I can still smell that room… ahhh! One of my earliest classes in aromatherapy taught us to not worry as much about which oil, but use any oil! All oils have many varied uses. I recommend finding several oils you enjoy the smell of and getting familiar with their uses. You don’t need a lot of oils, just pick several and start using them.